I had 4 very ripe bananas at home. Usually I make carrot cake with it, but this time I wanted to try something new. Then only I remembered watching an episode of Good Eats in Food TV, where Alton Brown prepared banana ice cream without eggs. So immediately went to the site to get the recipe. Interestingly I had all the ingredients at hand. But the only thing was the bananas had to be frozen overnight and thawed, before making the ice cream. I have wanted to try this for a long time now, so did not have the patience to do it the next day and also the bananas were very ripe. So proceeded to make the ice cream and it did come out very well. Maybe I’ll try the freezing method next time. 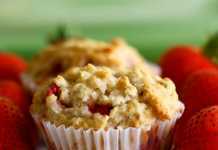 So check here for the original recipe. 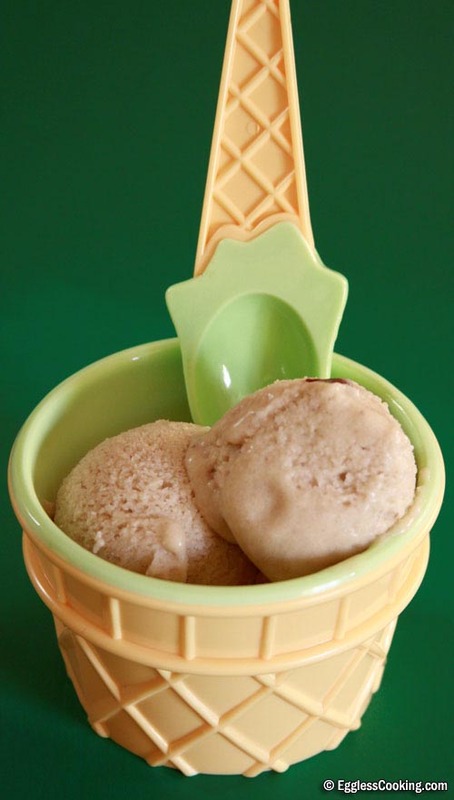 A very easy recipe to make eggless banana ice cream at home without an ice cream maker. 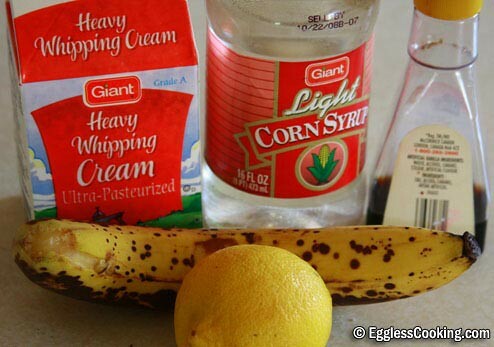 Peel the bananas and place it in a blender. 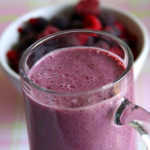 Blend it alongwith the lemon juice. 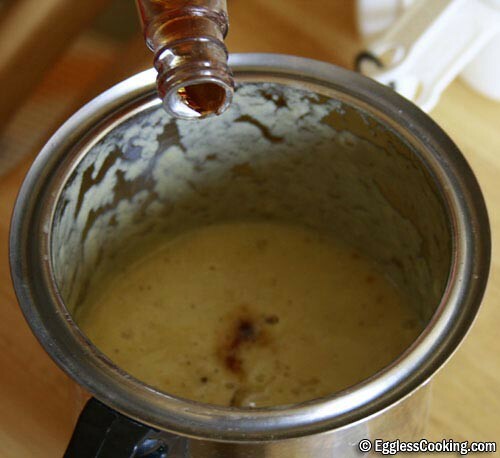 Add corn syrup and vanilla essence and blend it once again. 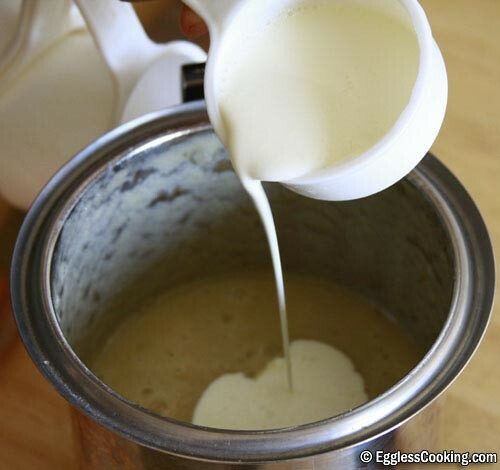 Add the cream and blend it until smooth. 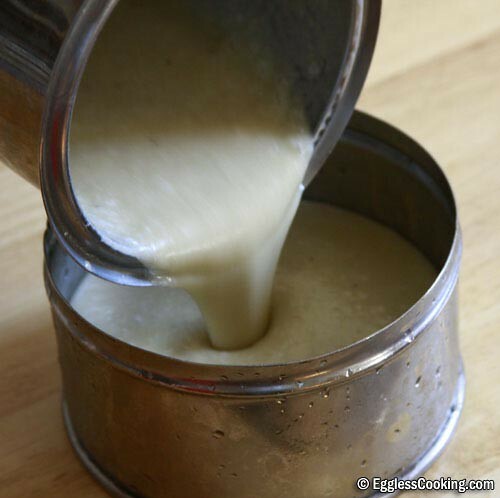 Transfer the mixture to a container and chill it in the refrigerator until it reaches 40 degrees. 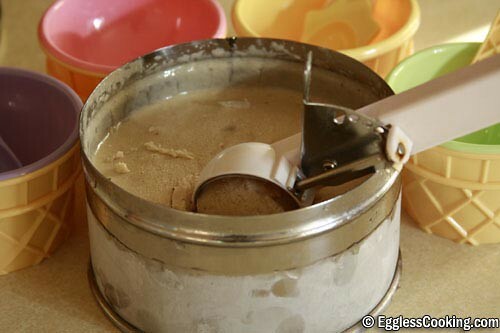 Even before starting the process of making the ice cream, put a stainless steel container or any other freezer safe container in the freezer until the ice cream mixture is ready. 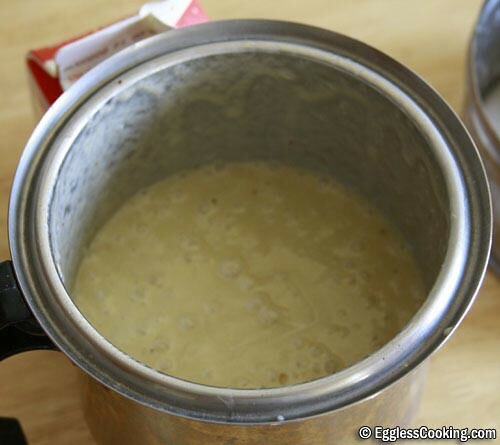 Once the mixture is ready transfer it to the frozen container and close it with a lid. After 45 minutes, open the door and check it. 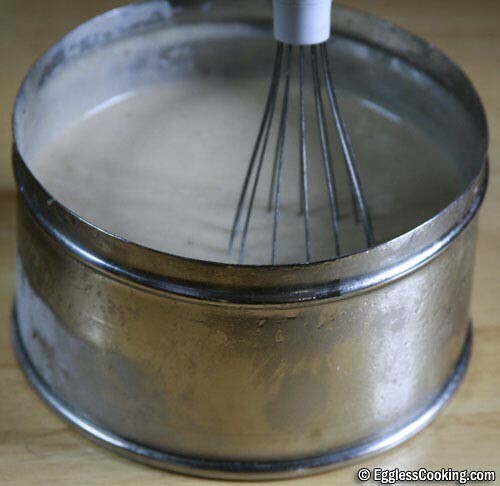 As it starts to freeze near the edges beat it up either using a spatula, whisk or stick blender to break any frozen sections. Return to freezer. Keep checking it periodically and stirring while it freezes until the ice cream is frozen. It will take 2-3 hours to be ready. I started making the ice cream very late in the evening, so I was able to do the above process only twice. I had to put the ice cream in the freezer overnight. The next day evening when I checked the ice cream had frozen rock hard and I was not able to scoop it. So I transferred the container from the freezer to the refrigerator. After about 45 minutes I was able to get the perfect scoop of delicious homemade ice cream. First scoop of homemade ice cream. I also added some chocolate chips to the ice cream mixture. The ice cream was so DELICIOUS!!! Chill mixture in refrigerator until it reaches 40 degrees. 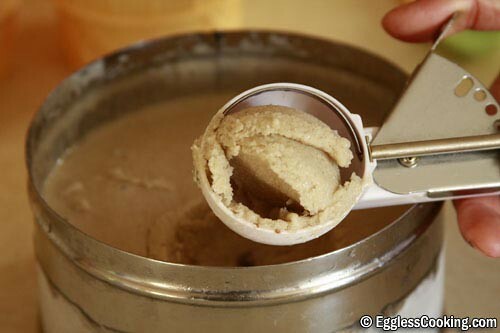 Transfer the mixture to an ice cream maker and process according to manufacture’s instructions. 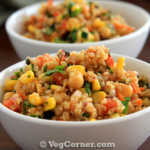 Place mixture in an airtight container and freeze it for 3 to 6 hours before serving. A small note to both banana lovers and haters, try this ice cream with just one banana first. 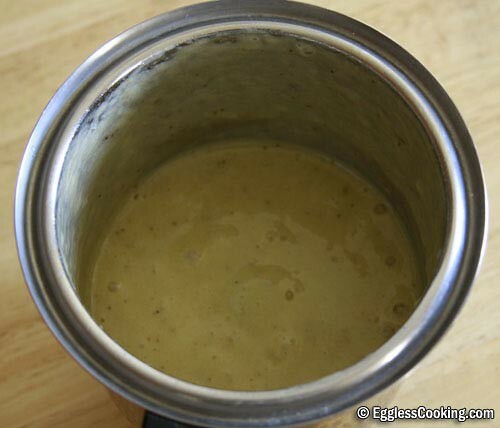 The original recipe calls for 6 bananas, but I have used only 4 bananas, even then the flavor of banana is overpowering. The ice cream got mixed reviews. But the happy news is my toddler liked it very much. I’m sending this to Mike’s “You Scream, I Scream, We All Scream for Frozen Desserts!” event. Just a note to say that I substituted corn syrup with the same measure of regular good ol’ honey. It was delicious! Also, I had to go for a wedding reception soon after putting the icecream mixture in the freezer and was unable to beat it every 45 minutes. But to my good fortune, the icecream came out perfect with no ice crystals! Pictured here with banana choco chip cake. That icecream and cake looks delicious Reema. It’s great to know that honey works well in the recipe. Thanks for the feedback. You should be fine without the corn syrup, Pris. 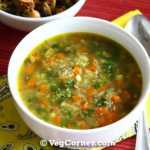 When I posted this recipe, I was a starter too, so didn’t know much. I used to follow recipes exactly. Nowadays I make a lot of instant banana ice creams. 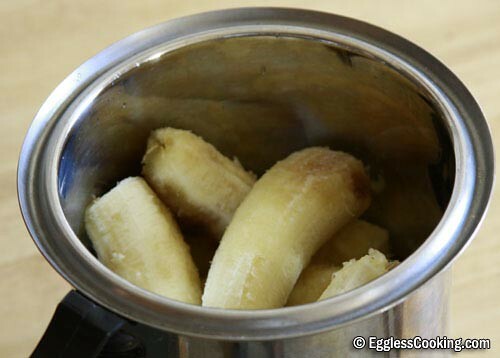 Chop bananas, store them in ziploc bags and put it in the freezer. Whenever my kid is in mood for ice cream (which is always), I take out some to those and blend it in a mixie/food processor. Sometimes I also add some chocolate milk powder for a banana/cocoa ice cream. Madhuram Can i Skip corn syrup in this? Hi Shubha, I wouldn’t know until I try it out. I tried this over the weekend and I was very happy with the result. I froze the banana and then blended it. The taste was overpowering. I had it with a slice of the Whacky Vegan Chocolate Cake…. and wow, it was right out of heaven! Thanks for your recipe. You’re welcome Vijaya. Yes I agree the flavor of bananas was quite overpowering. Yeah, Banana Ice Cream is delicious but you definitely don’t need the Corn Syrup. Corn Syrup isn’t good for you, yet companies find a way to put it in everything. A little bit of Vanilla Extract would also be better instead of Essence…a lot of these things have ingredients that we have no idea what they are. 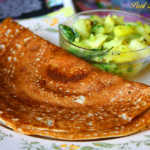 Hi Durga, the original recipe (with corn syrup) does not call for cream of tartar. If you choose to prepare the substitute for corn syrup, find cream of tartar in all grocery stores in the baking aisle next to baking powder.Check here to know more about it. Deepa, please check my answer to the previous comment. 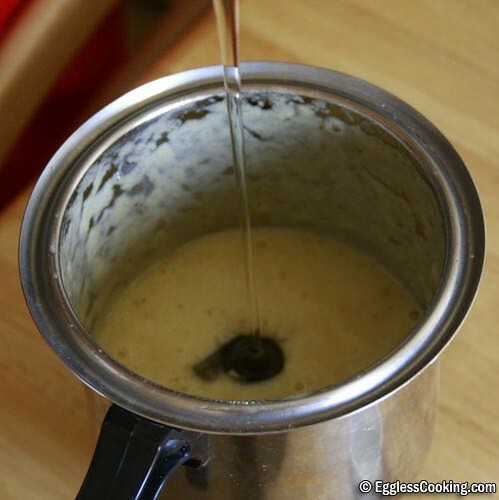 I have written the recipe for corn syrup substitute. Saw your eggless banana ice cream. Looks really yummy. I am planning to try it this weekend. I hope it turns out as good as the picture does. One hitch, though. I can’t lay my hands on corn syrup. Is there anything I can use as a substitute. Thanks Cynthia. I googled and found this substitute for corn syrup. I’ve not tried this. Combine all ingredients in a heavy, large pan. Stir and bring to a boil. 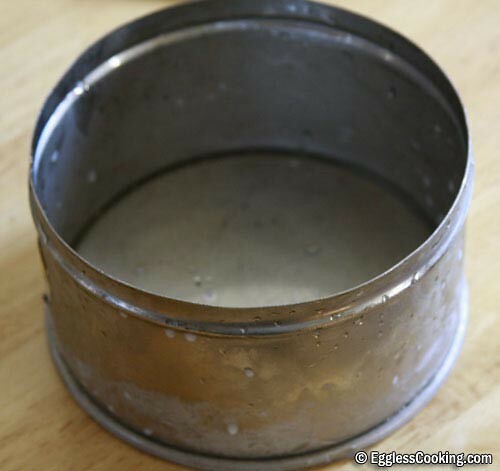 Reduce heat to a simmer and put cover on it for 3 minutes to get sugar crystals off the sides of the pan. Uncover and cook until it reaches soft ball stage. Stir often. Cool syrup and store in a covered container at room temperature. It will keep for about 2 months. Makes almost 2 cups. Wow… Madhoo…. Nice Ice cream … So yummy…. u r simply awesome Madhu…. Cant really stop appreciating you for ur great job!!! Ur service to the womanhood is well received. Keep going!! Namratha, Kalva, Roma, Handy, Libby thank you very much. 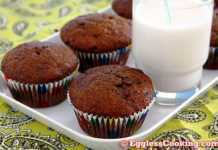 Rachel you are an amazing baker, so this is recipe is very easy. I got the cups online here in US. Thanks to the little one too. Looks easy and delicious. I love the cups and spoons. So cute! Thank you very much girls! This appreciation is the motivating factor for me. Reg. the ice cream, as I have mentioned in the update, please try with 1 or 2 bananas first. Ranji, thank you very much. Your nankhatai is such a genius idea. Sorina, welcome to my blog. Do try it. Sripriya, a warm welcome to you too. Maheswari thank you very much. What started as an hobby has now become an identity for me, which is equally surprising. Asha, even this is the first time we are tasting banana ice cream. It was surprisingly good. Anjali, I made the ice cream without the machine. It did come out well. Shriya, you made me so happy with your comment. Bhags, Uma, Rachel I got the cups online. It was such an amazing deal, 4 cups and spoons for $2.50. SS, sure. I’m ready to take the order. Krystyna, thank you very much. Bharti, this is my first try also. It did come out well. So give it a try. Vaishali, thank you very much. You deserve the award and congrats. Laksh, I’m going to use your “luscious and simple” in my header. It’s so perfect. Madhuram, thank you so much for the lovely and unexpected award! The ice cream looks wonderful, and the cups and spoons are just adorable. wow look at you11 awesome!!! Wow! Looks mouthwatering. I really appreciate your enthu and energy in keeping the posts luscious and simple. Looks absolutely superb. I have left over bananas all the time! 😯 and now I know what to do with it. Lovely Icecream.Reminds of my mom who usually makes icecream for me. 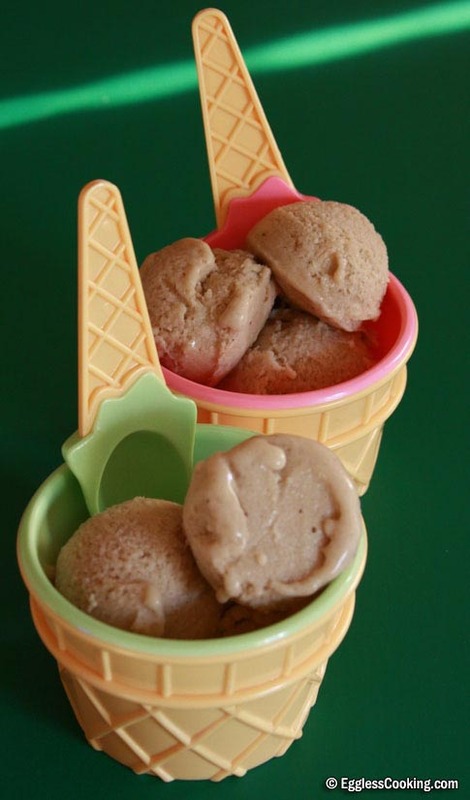 Madhuram, luscious-looking icecream, and I love that you’ve given step-by-step pictures. Thanks for thinking of me for the Blogging with a Purpose award. I truly appreciate it. Amazing…simply superb… You are too good!! That looks really refreshing! 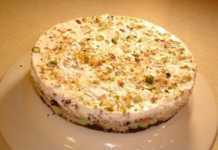 As much as I love ice cream, I have always shied away from making own (except kulfi). U R inspiring me to take the plunge!